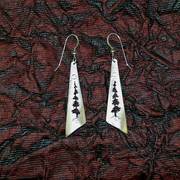 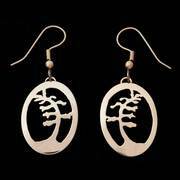 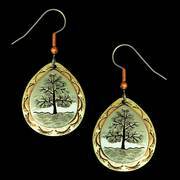 Inspired by the windswept pine trees of the Northwoods Wilderness. 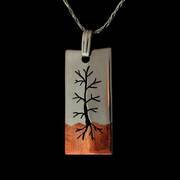 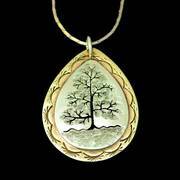 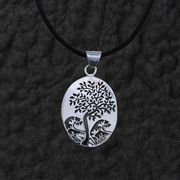 This tree pendant is cut out of Sterling Silver oval. 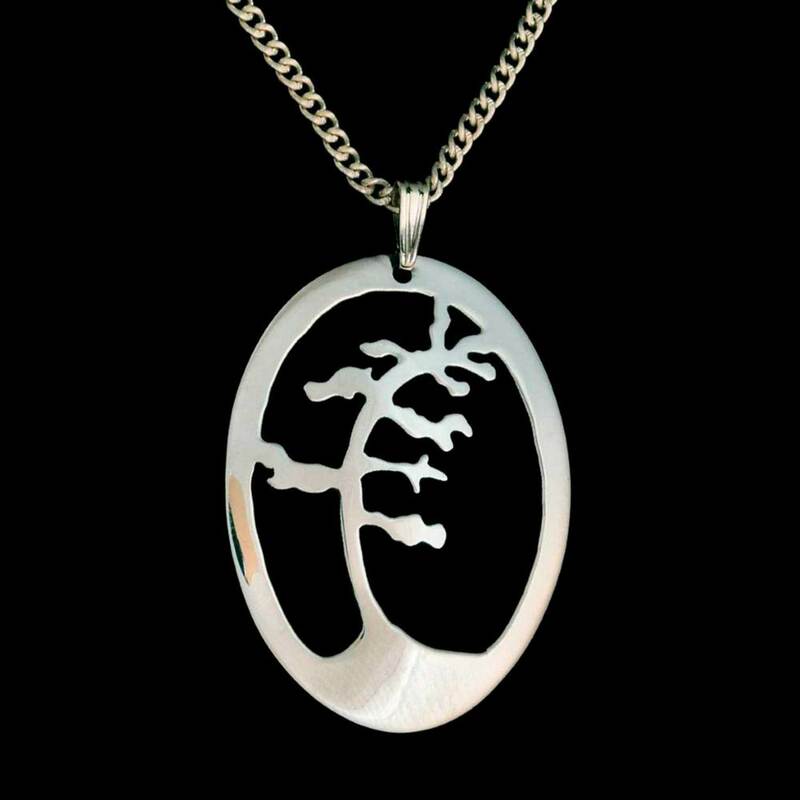 5/8"x1 1 1/2" on a sterling silver 18" chain.